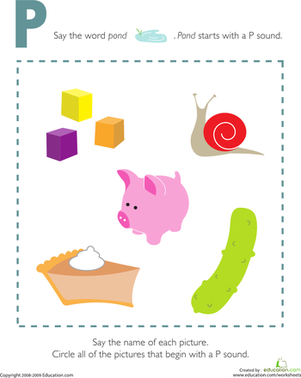 Read the class Piggies by Audrey Wood. 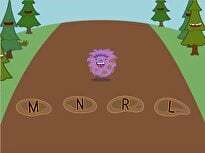 Have students color their hand in with crayons. 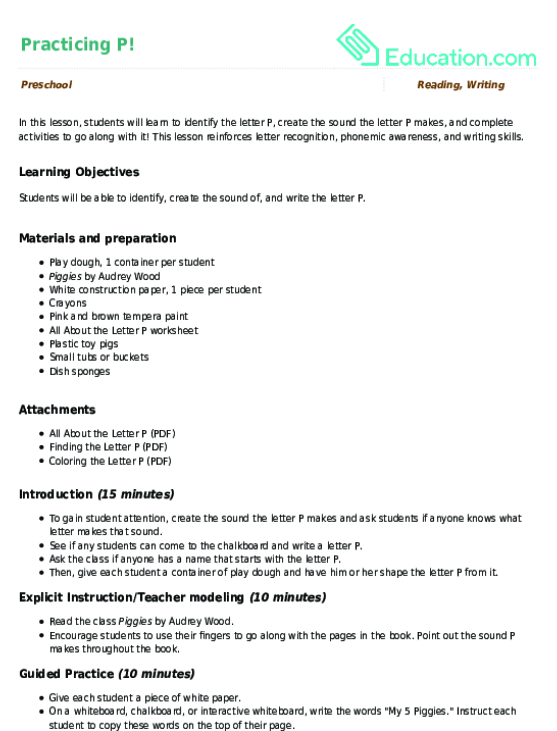 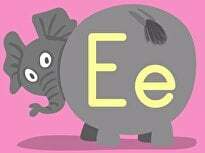 Enrichment: Have students complete the Finding the Letter P worksheet for extra practice. 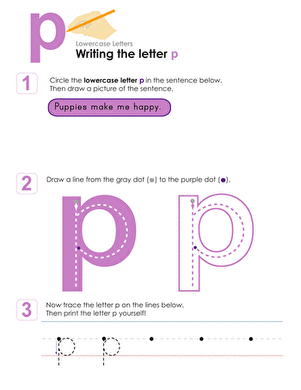 Support: Give students a piece of white paper and create the letter P on it with a yellow highlighter or crayon. 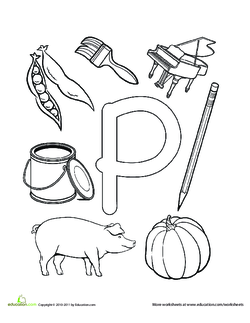 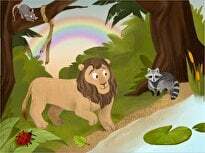 Have students "rainbow write" the letter P by using various crayons to trace over the letter P.
P is for pond! 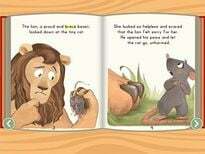 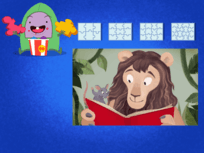 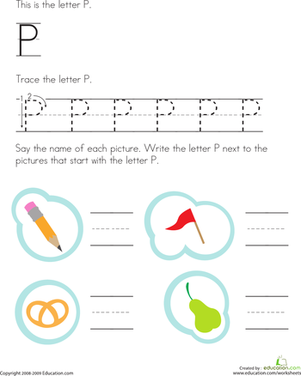 Kids completing this prekindergarten reading worksheet circle the pictures that begin with a P sound. 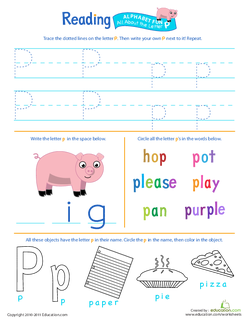 This worksheet is great phonics practice. 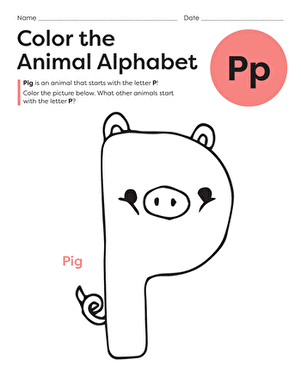 This playful printable will help your preschooler practice her letter writing skills as she prints and plays her way to mastering the letter P! 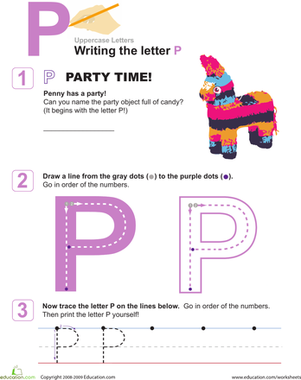 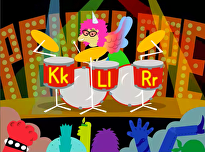 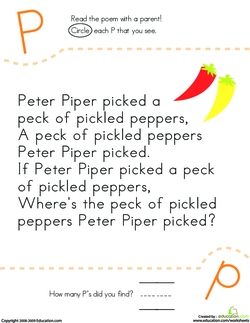 Have fun coloring in the letter P, and don't forget to practice writing out the letter too.